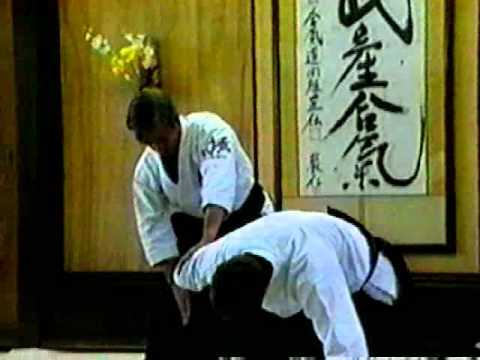 Info about "Aikido kata guruma video"
Kata guruma is a “shoulder-wheel-throw” technique from Daito ryu Aiki-jujutsu, and incorporated into Aikido by Founder, Ueshiba Morihei. The initial position of tori to uke’s position is 90 degrees. 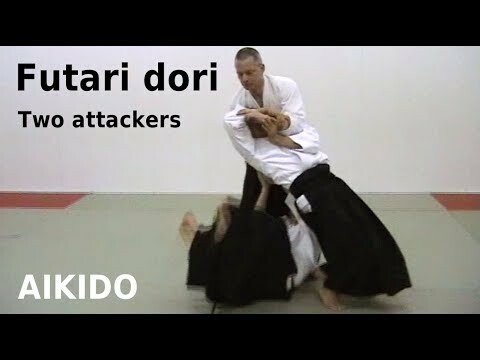 (Some aikido practitioners have been using this initial position for a koshi nage or hip throw, which conflicts with judo’s initial position with back to uke before the throw). Kata guruma throws use the shoulders as the axle, whereas, koshi nage throws use the hips as an axle for uke to rotate around. In kata guruma, you load uke, or training partner across your shoulders, in a supine position and throwing across for the “wheel-effect.” This is the regular throw. In variations of kata guruma, there is a throw called “ganseki-otoshi” (“rock-drop “). You enter to uke’s rear and grab the collar, load uke on your shoulders in a supine position, but instead of throwing across for the wheel-effect, you drop uke down over your head in front of you. This can also be done from the front of uke, loading uke over your shoulders in a prone position, and dropping him over your head in front of you. 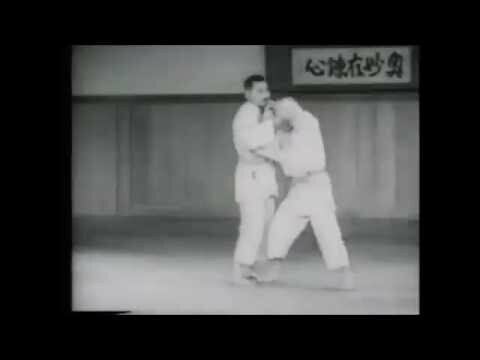 This throw is a favorite of Isoyama sensei of Aikikai. 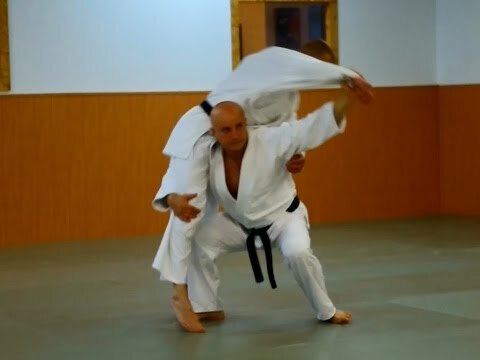 The kata guruma is a dangerous technique, and many practitioners of aikido do not use this throw, and instead use the koshi-nage instead.